Working with healthcare communities, providers, stakeholders and patients, Qsource improves the quality, accessibility and delivery of health care to improve health outcomes. As a 501(c)(3), nonprofit entity, our corporate mission is to serve healthcare communities, but our organization’s employees and corporate culture extend this mission well beyond office walls. We believe in corporate responsibility through community service and we know the value and achievement that can be realized through collaborative partnerships, working together toward common goals for the common good. We’re committed to making healthcare better, making a real difference in our communities and contributing to a better quality of life for everyone. To further demonstrate this commitment, we’re proud to launch a new Qsource Cares initiative—Qsource Community Partnerships (QCP). UPDATE – FY-2019 QCP Grant Awards Announced! Qsource Community Partnerships (QCP) supports programs that pursue improvement in health outcomes, and we’re excited to introduce and spotlight our Fiscal Year 2019 (FY19) QCP award recipients below. We invite you to learn more about these organizations and the projects they are implementing to make healthcare better, for everyone. The current QCP grant cycle is now closed. Please bookmark this page for information about the next QCP grant cycle and application timeline. 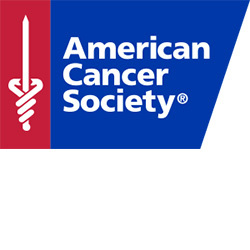 QCP supports the American Cancer Society in Illinois by funding evidence-based strategies to increase HPV vaccination rates in Central and Southern Illinois (Jackson County and Knox County). The QCP grant will be used to increase HPV vaccination coverage rates, provide education and technical assistance to healthcare professionals, and implement community-wide process improvement programs in Central and Southern Illinois. QCP supports the American Cancer Society in Indiana with funding to help strengthen its existing community health center and hospital partnerships work on improving colorectal cancer screening (CCS) rates and disparities. Specifically, this project aims to increase CCS rates in multicultural communities in Central Indiana, and to distribute combined colorectal cancer education and CCS test FIT kits to improve rates among age-eligible, high-risk and uninsured populations seeking help at Esperanza Ministries. 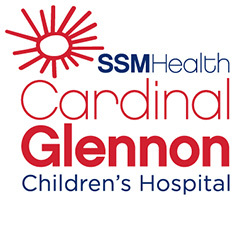 QCP supports the Nephrology Department at SSM Health Cardinal Glennon Children’s Hospital and provides funding to assist families in overcoming the significant barriers encountered when caring for a sick child. Social determinants, such as housing conditions and family income, can impact a child’s eligibility for kidney transplant, making it vital for healthcare providers to do all they can to help families address barriers to their children’s care. 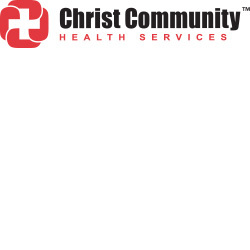 QCP supports Christ Community Health Service’s Self-Management Program, which focuses on reducing and improving hypertension through implementing new clinical protocols and by providing home blood-pressure monitors (automated or Bluetooth-enabled) to patients participating in an outreach health management program. Christ Community Health Services (www.christcommunityhealth.org) Christ Community Health Services has focused on fulfilling the physical, spiritual and emotional needs of the underserved, the uninsured and the homeless in the Memphis community since 1995. We provide high-quality health, dental and pharmacy care throughout Shelby County. Our mission is to go where the need is greatest to provide quality services in the name of Jesus Christ. Church Health Center of Memphis, Inc.
QCP supports Church Health and the implementation of its population health tool. Through this project, Church Health will better identify, manage and meet the health needs of patients by finding gaps in care, alerting providers to these gaps, and deploying outreach to individuals in need. 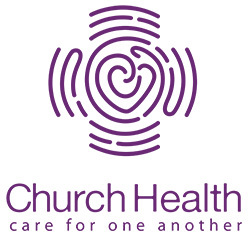 About Church Health Center of Memphis, Inc.
Church Health is a faith-based, non-profit organization located in Memphis, Tennessee that provides comprehensive healthcare and health services to individuals with little or no access to healthcare. In the past year alone, Church Health had more than 54,000 patient encounters. In addition, Church Health has extended training, education and outreach to countless individuals and organizations with the goal of fostering physical, emotional and spiritual well-being among patients, participants, families and the community at-large. QCP supports Common Table Health Alliance and the Memphis Breast Cancer Consortium (MBCC). This initiative will narrow breast cancer disparities and improve screening rates by increasing data collection, access to information and training, and outreach to underserved populations in area ZIP codes with high breast cancer mortality and incidence rates. 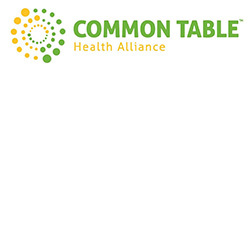 Common Table Health Alliance (CTHA) is a community-based, nonprofit, regional health and healthcare improvement collaborative serving Shelby County and Memphis Metropolitan Statistical Area. The organization’s mission is to achieve health equity through trusted collaborations, partnerships and direct services. The anchor of its work is to organize and operationalize community-wide partnerships to address disparity and equity in health care for our most vulnerable and underserved populations while also improving overall health outcomes in the midsouth region. QCP funding will support East Tennessee Health Information Network (etHIN) in the development of its automated, real-time, HIPAA-compliant alerting service. This project seeks to inform providers in free and low-income medical clinics and rural health departments of their patients’ hospital visits in a timely manner. These alerts will also allow providers to contact patients to schedule follow-up office visits to ensure compliance with medications and treatment plans prescribed during the hospital visit, potentially preventing same-cause hospital readmissions. 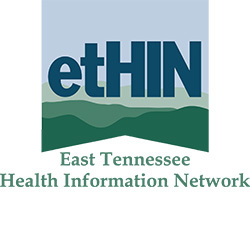 etHIN is a non-profit Regional Health Information Organization (RHIO) established in 2005 to serve the needs of patients and healthcare providers in East Tennessee. In 2011, etHIN launched a HIE infrastructure that allows authorized healthcare providers to securely access their patients’ information. etHIN’s purpose is to manage a secure healthcare information network that is used by authorized healthcare providers to exchange data, support improving patient outcomes, and helps lower the cost of healthcare through effective electronic data sharing. etHIN’s community members, now spanning more than 20 counties, include local hospital systems, physicians, and other community healthcare entities that provide healthcare services to more than 1.4 million patients. For more information about etHIN, visit www.ethin.org. QCP funding supports Faith Family Medical Center (FFMC) and its Women’s Health Care Initiative. Through this program, FFMC provides affordable and quality primary care to low-income and uninsured/underinsured women, and offers primary-care exams, including PAP smears, blood-pressure and cholesterol monitoring, breast exams, and mammography referrals. 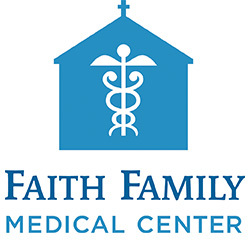 Faith Family Medical Center is a non-profit, full-service medical clinic serving Nashville’s working uninsured and other underserved. Patients pay based on a sliding scale based on income and have access to a registered dietician and specialists from across the region. Visit FaithMedical.org to learn more. QCP funding will support Good Shepherd Pharmacy’s effort to study the financial impact of a community-based pharmacy and the development of a new blockchain infrastructure in Memphis, TN. The goal of the project is to retrieve unused cancer medications and make them available to those most in need within the local community. 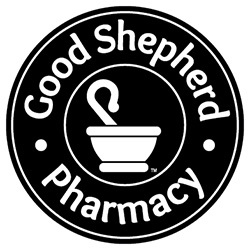 Good Shepherd is a nonprofit membership pharmacy designed to meet the needs of people who can’t afford their medications. The Good Shepherd membership program provides access to at-cost or donated medication to over 1000 chronic patients. In 2017, Good Shepherd Pharmacy gained national recognition for involvement in the passing of House Bill 137, allowing for the creation of a repository which accepts prescription donations from any individual, anywhere in the United States. In 2018 the team launched RemediChain, a blockchain platform that connects people who wish to donate unopened chemotherapy to those who would not otherwise be able to afford their life-saving medication. 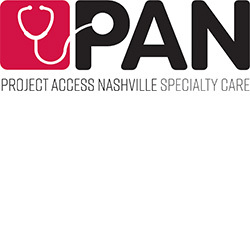 QCP funding will support the Medical Foundation of Nashville’s Project Access Nashville Specialty Care (PANSC) program by increasing its capacity to serve patients whose primary language is Spanish. PANSC coordinates specialty healthcare for low-income, uninsured persons, through a network of volunteer physician specialists, ancillary providers, and hospital partners. The Medical Foundation of Nashville empowers our community by supporting health access, promoting healthy lifestyles, championing health and medical education, and cooperating with other charitable entities to work towards a healthier Nashville. Specific activities include public health education, coordinated charity care, and education for physicians and physicians in training. Project Access Nashville Specialty Care, a program under the leadership of the Medical Foundation of Nashville, provides a coordinated system of care to low-income, uninsured residents of Davidson County through our partnership with the Nashville Academy of Medicine, Metro Nashville Health Department and Safety Net Consortium of Middle Tennessee. Since its April 2005 inception, nearly $40 million in care has been donated to more than 5,000 uninsured Nashville area patients by more than 1,300 physicians and their affiliated hospitals and laboratories. 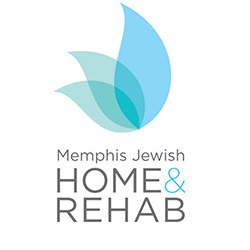 QCP supports Restorative Nursing, a program implemented by Memphis Jewish Home & Rehab (MJHR). Elderly residents of nursing homes typically decline with age in activities of daily living (ADLs) such as dressing, bathing, toileting, locomotion, transfer, communication, and eating. Through its Restorative Nursing Program, MJHR is committed to addressing this during stays before decline happens through personalized, specially designed daily exercise that helps residents stay as independent as possible for as long as possible, which also helps to improve their quality of life. Memphis Jewish Home & Rehab (MJHR) is a not-for-profit organization that provides quality care to people of all faiths who are seeking rehabilitation services and long-term care in the Mid-South. For 91 years, MJHR’s professionally trained staff has been dedicated to compassionately serving the needs of seniors in a warm and supportive environment. MJHR is driven to deliver quality, individualized care while always adapting to the changes in healthcare needs for seniors. Caring for generations of Mid-South seniors and their families, MJHR understands that we are caring for both the patient and their family. Located on 77 acres in Cordova, MJHR offers 145,000 square feet of inviting space in a park-like setting. For more information, please call (901) 758-0036 or visit www.memphisjewishhome.org. 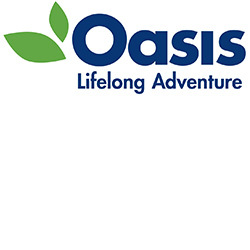 QCP supports the Oasis Institute’s Diabetes/Chronic Disease Self-Management Programs for older adults that will be implemented through workshops and will include devising weekly action plans with participants and providing feedback of progress, along with modeling self-management behaviors and problem-solving strategies, and socially persuading through offered group support. QCP supports Wesley Kids Foundation project to help meet the needs of children receiving dialysis. The Foundation is providing important nutritional supplements, technologies to support and assist children with homework, and electronic smart scales for families to keep at home for ongoing monitoring of goals and progress. 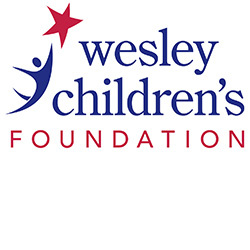 The mission of Wesley Children’s Foundation is to contribute to the overall health, happiness and well-being of ALL sick children in Kansas. Established to provide emotional and financial support for sick children and their families, the foundation continues to advance its mission through individual financial assistance funding and grant-funded pediatric programs and services in the community. Dedicated to keeping funds local, all money raised stays in Kansas to support families in the Kansas community.